Apparently Phil played congas on "Art of Dying" on a session for All Things Must Pass , but there were no congas in the final mix and he wasn't credited on the album. Years later, when he heard that George was remastering ATMP , he mentioned this to a mutual friend. A few days later, a tape showed up in the mail with a note from George saying "is this you"? Phil played the tape and heard a version of "Art of Dying" with absolutely horrible congas, at the end of which he could hear George saying to Phil Spector "let's try it again without the conga player." Phil was mortified. A few days later, George called and asked if he got the tape. Phil started to say George didn't have to embarrass him like that, but George laughingly interrupted and said that it wasn't really Phil's congas, that he had Ray Cooper play really bad congas on purpose and sent it to Phil as a joke, and that Phil's congas were fine. Phil was finally credited on the ATMP reissue. More proof that George was possibly the funniest Beatle! Fantastic story Von Bontee!! I'm sharing it with my Beatlemaniac friends!! Thanks Von! That is a great story. One of the reasons why George is my favorite is his sense of humor. Who else would go through all of that just for a practical joke? I do believe he was the funniest! Am currently listening to all the outtakes and demo's i have from the 'All Things Must Pass ' sessions (sadly i dont have them all, trying to find a copy of 'All Boots Must Pass' or 'All Things Must Pass Sessions') and have rediscovered take 8 of 'Let It Down'. It's bass, guitar, drums and vocals (George and another) and amazing to hear such a stripped back take of a track that ended up heavily plastered in instrumentation. Sadly no video is online with sound. And has anyone heard this before? A demo of 'Let It Down 't taken from 'All Things Must Pass .com, similar to the one on 'Beware Of ABKCO' but not identical. 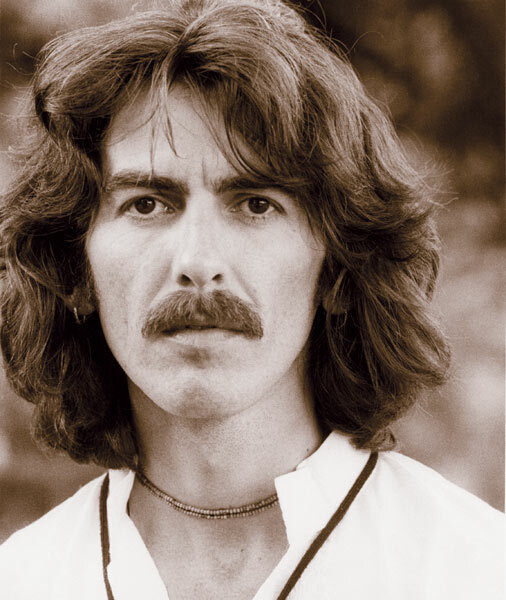 ^^^ One of my favorite George songs (not necessarily that version, but the song itself). I love All Things Must Pass . It's my favorite George album. Similar to what Paul said about the "White Album ," I really like the variety. The Apple Jam disc is a nice bonus, too. The Apple Jam disc is a nice bonus, too. Nice to see I'm not the only one who enjoys the jams. I enjoy the jams, minus Out Of The Blue . That one bores me.
. I find his songs very soulful as compared to John's. But I guess that the 70s was toughest for John and thats what his songs reflected. I hope he had more time to exorcise his demons. So strange to hear a much lighter take of the song (there is also the demo but that is just that - a demo), its another great version (but for once not as good as the final version). Its a shame that no box set of early takes just from 'ATMP ' is available officially as its such a revelation to hear the songs in a minimal format before the walls were raised. In regards to 'Art Of Dying' i wonder if the line "nothing Sister Mary can do to keep me hear with you" was a reference to "Mother Mary comes to me" in 'Let It Be '? I wouldn't be surprised if it was. I know, George had a lot of great songs. But to me this one espouses the man that was George, more than pieces of his life or his heart or whatever. I have listened to this album a week or two ago. One of the loveliest discoveries I have made in this holiday season. This album strikes me in a very simple way. Abbey Road made me feel sad, uneasy, but I was satisfied. It was a huge satisfaction. All Things Must Pass purified me. The more I listen to Beatles, more I'm starting to think they either sold their soul to Devil or had a divine inspiration, because this album is otherwordly. And it doesn't even sound weird. Domestic atmosphere, it's certainly not happy-boppy-poppy. Majestic arrangements, but yet so humble. Spector sure did his job damn well on this one. Where do I start? The opening song? At first I thought it was too weird and I hated it. Too unusual for me at first. Then I grew to love it on my third listening or so. "My Sweet Lord "? Now that's a song. I've never heard this song before, as improbable as it may sound, but I found it so simple and emotional and catchy it just made a move inside me. I believed this man, singing about his and my sweet Lord. It was sincere, for sure. And it struck me hard. And what about rocking "Wah-Wah "? Awesome song. Just up there with "What Is Life", which is a little bit better than the former IMHO. Catchy riff-fest, bombastic producing. "Isn't It A Pity ", both versions, actually made me feel weary. But in a good way. The one where the mood matches the song, not because it's that bad. Deeply interesting song, as you can't decide on whether it's a full-depression song or not. What about "If Not For You "? Man that song is awesome. It's so gentle. Not to mention "Behind That Locked Door " which is somehow even more gentle, but in such a different way. Songs are actually similar in some matters, but at the same time, they're not. "Art of Dying"? Maaaaan. What a rockin' song. Fantastic "Apple Scruffs " (gotta love that silly chorus) fits the album cover soooo much. "The Ballad Of Sir Frankie Crisp (Let It Roll)"? What a magnificient song. I actually don't know lyrics to this song. I've never bothered to look at them (not that I brag about it), but something about the way he sings "let it roll..." makes me... well, sad, yes, but it's a higher form of that. I don't know how to explain that. You'd never heard My Sweet Lord ? That's insane. My then girlfriend's brother had it on release and I used to go round and put the Jam disc on whenever I could. I've loved and hated different bits of it at different times. It's an amazingly sincere album, and although I want to thwack Spector for some of his production choices, the performances bear that out. My favourite song is The Ballad of Sir Frank Crisp, all the elements seem to come together perfectly for it, but the "demos" on the 2001 version are also awesome. And All Things Must Pass itself is always a comfort. Whenever life gets me down it reminds me, nothing stays the same. My favourite song is The Ballad of Sir Frank Crisp, all the elements seem to come together perfectly for it, but the "demos" on the 2001 version are also awesome. Another 'Ballad of Sir Frankie Crisp' lover - fabulous. I always imagine George providing a guided tour of Friar Park while he sings this. To the fountain of perpetual mirth, let it roll for all its worth. Let it roll! Anyone who can purchase from the UK iTunes can currently get the 2014 remaster of 'ATMP ' for £5.99. I have a query regarding the 2014 remaster of All Things Must Pass . According to a YouTube video by Brian Husar , the main problem with the 2001 remaster was that there was too much limiting involved and that less limiting has been used in the 2014 remaster. I recently purchased the album from iTunes and both the copyright notice in the iTunes store and the digital booklet stated that it was the 2014 remaster. However, I had previously downloaded a free iTunes EP containing one song from each solo Beatle, and for George, they chose Let It Down . I noticed that Let It Down sounded different in the iTunes EP than in All Things Must Pass . So I assumed that the iTunes EP must have for some reason used the 2001 remaster. But when I imported both versions into Audacity, I noticed that it was the All Things Must Pass version that had the most limiting, which has made me wonder if I ended up with the 2001 remaster of the album despite what the copyright notice said. If someone has both the 2001 and 2014 remasters, could they please confirm which version is the loudest and has the most limiting? Thanks. The 2001 version sounds louder to me. The 2014 version also has a slightly warmer sound.